Could Hydroseeding in Eatonville help you? When you need to lay a lot of seed at once, you have several options. 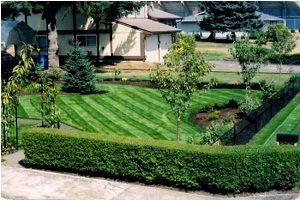 You could lay sod or have a professional company put it down for you if you need immediate results. You could hand-seed the area with the grass seed of your choice. Or you could try hydroseeding to reach a large region in a minimal amount of time. For large or commercial properties, the latter is often a good option as it can cover a wide area in a short amount of time. 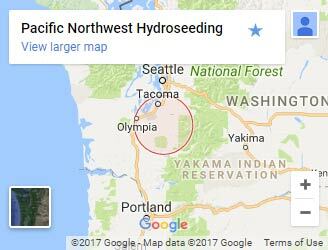 If you’ve decided on hydroseeding in Eatonville, give us a try at Pacific Northwest Hydroseeding. We’re the best value around with our signature combination of service and efficiency! What is hydroseeding? Hydroseeding is a method of planting grass quickly. Unlike other methods of seeding, hydro seed grass doesn’t need to be physically carried or planted by hand. Instead, a hydroseeder truck combines grass seeds, mulch, fertilizer and binders into a slurry. This mixture is then sprayed over the desired area and germinates quickly, meaning visible lawn growth can start in as soon as a few weeks! What are some advantages of hydroseeding? Hydroseeding isn’t the best option for everyone. However, many establishments choose this method because of the many advantages it offers to them and their property. One of the greatest benefits is that hydroseeding offers superior erosion control. The hydroseeding slurry holds soil together better so it is more difficult to collapse. Sod is typically a single species of grass, but our hydroseeding slurry uses a 5-seed mixture. This creates a distinct look and makes your grass less prone to disease. Particularly in larger areas, hydroseeding saves money. And the bigger the lawn, the greater the savings as it requires a minimal amount of effort to spread after the truck is set up. As a locally-owned company founded in Eatonville, we know the area well and what kinds of seed work best. Our team is careful to apply the right amount of seed so that it covers the area with minimal waste to save you money. And we provide a written guarantee because we’re confident that our process will work. You have nothing to lose! For an estimate on your property, give us a call or contact us today.